WalterMart at Pasong Tamo corner Pasay Road holds a special place in my heart. This place witnessed one of the most memorable date in my life. Yes, IN MY LIFE, a movie date with my Marce Niko and Kat. Aside from that, WalterMart makes my marce Niko’s life easy and happy. They offer FREE WIFI inside the mall. She never fails to thank WalterMart for the FREE WIFI whenever we chat online. Now, we want you to experience the goodness of WalterMart Cinema and the FREE WIFI inside the mall. I will be choosing TEN LUCKY readers of this blog who will win 2 MOVIE PASSES EACH. For Blog owners, post it in your blog with a link on this page. and comment the url here. For Facebook users just follow this blog (see the widget on the side) and comment your answer here. I will choose 5 winners from blogpost and 5 winners from comments. One entry per user/blogger only. you can talk about a movie date or an online chat with your love one abroad. And don’t forget to comment the link here. This contest is open to Philippine readers only. The tickets should be picked up in Makati. It is only logical that I won’t send the tickets to you. You can just pick it up to Niko in Makati and you can go straight to WalterMart to use the ticket. If you are not near Makati, don’t bother taking out any payday loans to get there – just give the ticket to your love one who can watch the movie who can watch the movie in WalterMart Pasong Tamo. The contest will run until February 14, 2010 EXTENDED until Feb 18. Start answering the question now! I will announce the winners on February 15 February 19 (Friday).. so when you are chosen, you can go straight at WalterMart and see a movie of your choice, oh! don’t forget to bring a date. Winners will be chosen randomly. nilagay ko na ang link mo sa FB ko. hehe. at teka ha ginagawa ko na po ang blog. over here got free movie too but you need to go early to queue up to redeem the ticket. Thanks for contirubntig. It’s helped me understand the issues. Hi Pehpot, thanks for the invite! Once pa lang ako nakakapunta sa Waltermart, sali ako para makapunta ulit ako (if ever!) hehe.. BTW, sponsor ba'to ng Waltermart? Here's my entry:http://livinglifetodfullest.blogspot.com/2010/02/whats-your-plan-on-valentines-day.htmlGood luck sa ating lahat! http://benggalicious.blogspot.com/2010/02/movie-date.htmlay! kasali din si niko??!! wahhh! ang galing naman.. free movie tickets. perfect for a movie date on v-day..
oh, hindi pa ako nakapunta sa walter mart. Kaya I really don't know kung anong makikita don, he he he but based on your post mukhang maganda talaga. I would love to visit this place. Hi Im joining!here my answer http://kasai-mysimplelife.blogspot.com/2010/02/free-movie-pass-from-make-or-break.htmlTIA! thanks for inviting me to join 🙂 yes, I want a free movie ticket! hehehehttp://serenityoverload.blogspot.com/2010/02/walter-mart-movie-date.htmlhappy hearts day! At WalterMart, me and my love one can chat all the time we want, and today February 12, my birthday, with the clear connection of WalterMart's free WIFI even though their far away, it feels like their just here with me. At WalterMart, me and my love one can chat all the time we want. And today February 12, my birthday and with WalterMart's clear connection of WIFI, even though their far away, it feels like their just with me here. is waltermart a new mall there marce? naku pasencya na, la talaga akong idea about manila. hehe! I follow your blog using my Twitter. 🙂 HAHA! @CcolwinSo, valid na ang comment ko dito. :)Thanks! At Walmart, me and my love one can buy all the groceries that we need for a weekend of bumming around the house. At WalterMart, me and my love one can shop, dine, and watch movie without getting tired! Its a compact mall which has it all! At Waltermart, we can dine, stroll and watch movies ..
nalink ko na sa FB ko…here's my commentat waltermart me and my love one can feel luxe movie experience without costing us that much! why??! at waltermart, you'll find the best movie seats in town! their movie seat couches are incomparable! believe it or not,walang say ang movie seats in G4, Rockwell, and Greenbelt. the moviehouse is not so crowded tapos may taters and wifi pa all over the place!! what can you ask for! ?!?! we definitely experience "exclusivity" whenever we watch here! that's why we love waltermart cinema! posted here mare – http://blogappetite.com/2010/02/free-movie-pass-contest/sorry pasaway talaga! LOL! 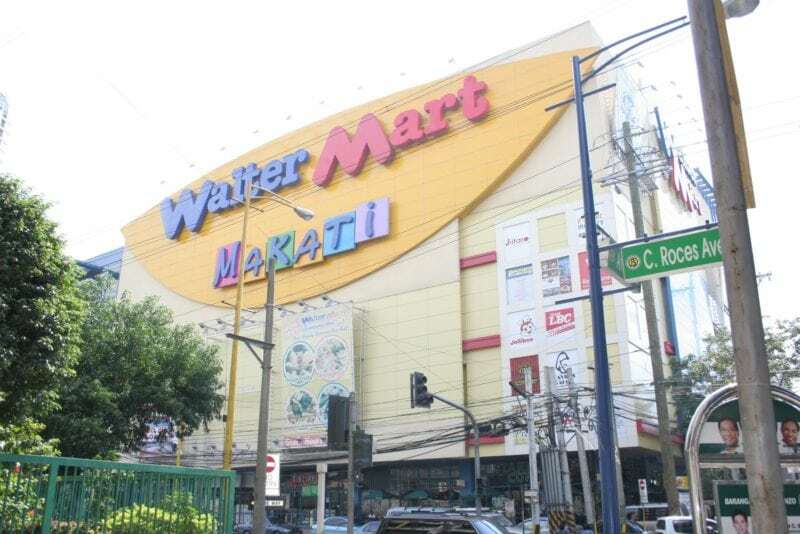 At WalterMart, me and my love one can shop, watch movies, eat our favorite dishes all day long. At WalterMart, me and my love one can eat,shop and watch our favorite movies for free. At WalterMart, me and my love one can……spend a day with in cheapest way of dating. We can also enjoy our date because it is so convenient place. am trying to leave my url but it cant get through..